To properly cut metals using a reciprocating saw, you need to learn how to use it. This is the only way you will work faster, safer, and without using too much effort. 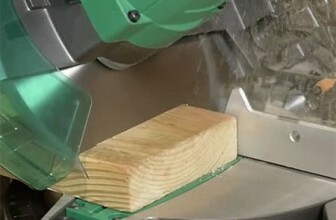 Reciprocating saws are generally used to demolition things. They, therefore, make rougher cuts compared to other options such as jigsaws. To maximize productivity, here are tips on how to use a reciprocating saw to cut metal. 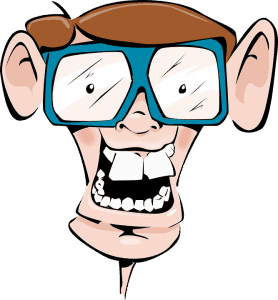 The orbital action is the motion made by a blade. Most reciprocating saws go in and out of their housing when in a normal stroke pattern, which enables them to cut through tough materials. The orbital action adds a bit of jiggle to things as it allows the blade to move circularly, which allows the chips to get out quickly as you cut. This enables you to cut faster with less effort. When cutting metal, make sure your saw is not wiggling. Also, if you want to make precise cuts, avoid using orbital models. However, it depends on the saw model as some will cut better than others. Once you know the type of metal to cut, it is time to pick out a suitable blade for that work. Thankfully, it is extremely simple to change blades in a reciprocating saw. Most modern saws do not have nuts, and thus no specialized tools are needed to change the blades. Remember to pick a suitable blade for metal since there are blades designed for wood and general purpose as well. Using a wrong blade will not tear your saw, but it could destroy the material you are trying to cut or damage the blade. To install a blade insert it into the slot behind the saw’s shoe. The shoe is the metal that sits between the opening at the end of the saw and the blade. Again, this might be quite different depending on the saw you are using, but most have a keyless system. You need to lift the “key” and insert your blade. After that, push it back to secure it. Make sure the blade is inserted correctly. This involves setting circular action and speeds. Again, this will vary depending on the saw you are using. Some reciprocating saws have a single speed setting. They may have a trigger lock that helps protect your fingers, but you may not have to adjust other settings since they come pre-set. In other cases, you will need to set the speed beforehand if your saw doesn’t have an adjustable speed trigger. Most mid-range models have adjustable speed triggers. Ensure that you have the right blade in place. Once you have installed your blade and you are ready to rock, you need to secure the metal and get prepared. Your blade should start when it is gently resting on the metal, and not when it is far away from it. You also need to start slow to prevent the saw from jumping around and make cuts all over the metal. Once you have the cut set, you can go full blast. Keep your saw secure against the metal you are working on as it keeps vibrating. 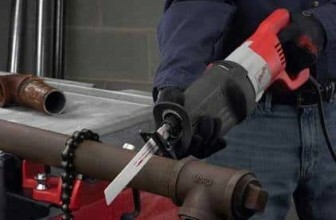 Use finer blades when cutting thick metals such as bolts, pipes, nails, etc. 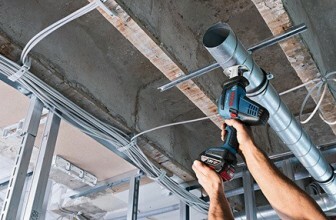 A reciprocating saw is a versatile tool and is suitable for demolition works and cutting through metals. This cutting tool can cut through different metals as well as a variety of other materials such as wood. Thanks to its design, a reciprocating saw can cut metals in corners and very tight angles with minimal efforts. Nevertheless, to enjoy the benefits of cutting metal, it is important to know how to use a reciprocating saw in the right manner. Ensure you have the best reciprocating saw for best results. 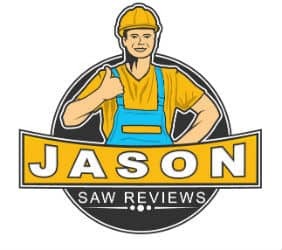 Hopefully, we believe that we have provided you with all the primary instructions you need on using a reciprocating saw.